& from Wales / Cymru including Walcot. 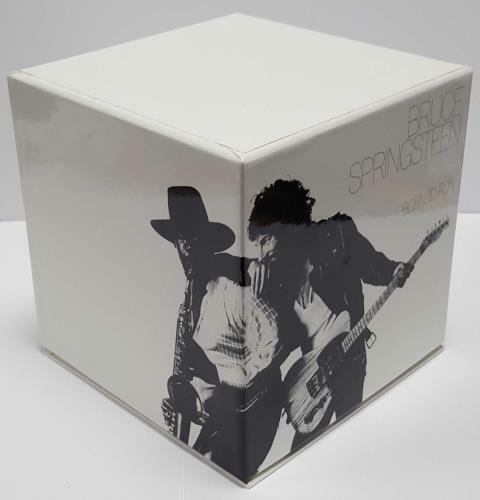 This set gets its name not simply from the inclusion of Bruce’s beloved 1975 album, but because the box comes complete with a replica of the legendary and withdrawn, alternate Born To Run 'Script' sleeve, which was solely distributed for advance media review back in 1975. In order to secure this fantastic collectable, Japanese fans had to first purchase the ENTIRE reissue series of SEVENTEEN albums and 23 discs, then submit proof of purchase, along with their redemption coupon, directly to Sony to receive the Box and the replica Born To Run sleeve via post, beginning 20 JULY, 2005. The box sold out rather quickly, and even several of the CD albums in that series are now out of print from Sony. Includes a copy of the competition winners letter from Sony! Product Information Bruce Springsteen Born To Run – The Complete 30th Anniversary Box Set Japan CD Album Box Set.